Home/PRINCE2 2017 Update: What Changes in the Method? PRINCE2 2017 Update: What Changes in the Method? Direct community feedback from practitioners, trainers and consultants made it clear that an evolutionary update was requested, that responds to higher expectations of stakeholders in today’s working environment. The 2017 update of PRINCE2, that will come out in July 2017, builds on the proven strength of PRINCE2 while responding to current imperatives for flexibility and agility. Together with new Foundation and Practitioner exams, that highlight the core and the practical application, the 2017 PRINCE2 update provides practical, accessible and authoritative guidance for anyone managing a project. ABOUT THE ARTICLE: This article explains clearly what has changed and what did not change in this updated version of PRINCE2. 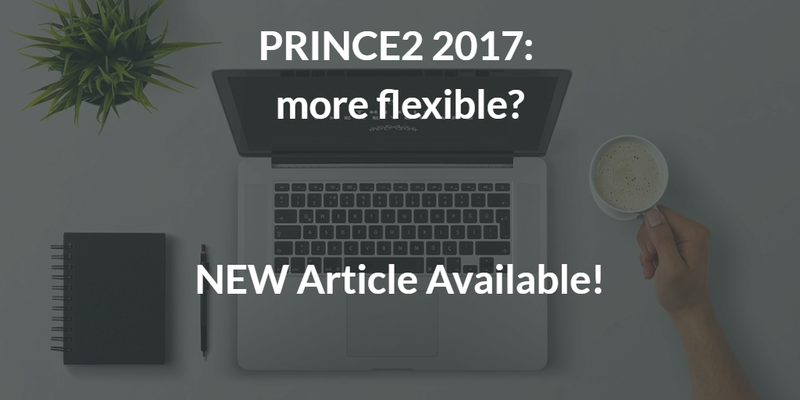 The 2017 update of PRINCE2 builds, in fact, on the proven strength of PRINCE2 while responding to current imperatives for flexibility and agility. You will discover how the core of the PRINCE2 method, like principles, processes and themes remain unchanged, while a renewed focus on the importance of tailoring has been added: the chapter on tailoring has been, in fact, elaborated and more prominently placed at the beginning of the manual. Furthermore, the distinction between tailoring, adopting and embedding is explained in more detail and there is guidance on how to adopt and embed PRINCE2 in an organization. ABOUT THE AUTHOR: Mr. Niels Van Bemmelen is “Organisational Change Management Specialist”. Niels has 20 years of experience in projects and programmes for organisational change. He has been involved in complete business change projects in challenging international environments. As project manager, business analyst and in assurance roles Niels has worked in projects in finance, public sector, tourism and education. He is a multilingual accredited trainer and consultants for PRINCE2, MSP, MoP, P3O, PRINCE2 Agile and Change Management and he teaches in English, Dutch and Italian.